If you’re looking to attract visitors to your website for an offer or promotion quickly, or planning to start a Search Engine Optimisation (SEO) campaign, Pay Per Click (PPC) should be an important part of your search strategy. Google Adwords advertising allows your business or product to get straight to the top of the page with an advert that is triggered by the keywords/phrases your customers are searching for. 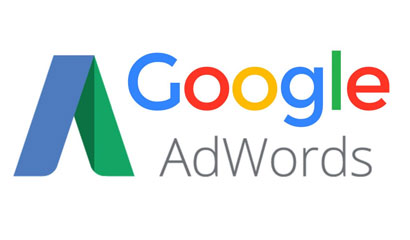 If you haven’t used Adwords before, it’s a great offer to test out a campaign. Following your brief, we will create and set up your campaign/s. This includes keyword research, setting agreed click budget, defining the geographic area, writing all advertisements and setting the campaign timings. All from £350 + VAT per campaign. To improve the performance of the campaign, we can design and build specific landing pages for your website, starting at £180 + VAT per page. We always ensure we monitor the campaigns we run, tweak where necessary and report back on the results so you’re kept up to speed on its performance. Please call Ben Jackson on 01603 901512 or email [email protected] for a chat and a quote. Review of current campaigns, include analysing keyword analysis and make recommendations for improvement, including suggestion for new adverts. When prospective customers search for your products or services you offer, your ad is eligible to appear on their search results page – whether it be Google Maps, or Google Search. PPC is often one of the best places to start any new SEO campaign as it’s an ideal way of testing your site’s landing pages and keywords. A well run campaign can drive traffic to your website almost immediately as it takes a matter of hours to set up, so results can be measured quickly too. Your customers are likely to be searching for your business by name and your site should show up naturally. However, your prospective customers tend to search by topic and location (i.e. “wedding flowers in Norwich”). It’s unlikely your business will appear at the top of the page. But, with a well structured PPC ad campaign, your ad will be seen at the top of page 1. PPC advertising generates data on the keywords people enter to find your website and how valuable they are. These can then be added into the pages of your website to boost your ‘natural’ search engine rankings. The other advantage of this advertising is it allows you to measure every form of action people take so you can easily measure your ROI. If you’d like more information, please call us on 01603 901512.